This policy does not apply to the practice of third parties that Redwall does not own or control, which may have links on or to the Site, or to individuals that are not employees of Redwall. At Redwall, it is our policy to create Site content that requires minimal collection of personally identifiable information from you. However, to respond to your requests for information, or to enable you to use certain features of this Site, we may request personally identifiable information from you including, but not limited to, your name, physical address, e-mail address and/or telephone number, and company. You may choose to give us personal information directly in a variety of situations. For example, you may want to give us your name and contact information so that we may communicate directly with you and help you to collect more data about Redwall products or services, create an order, or seek a new teaming relationship. You may wish to forward a resume in connection with a job opening at Redwall for which you wish to be considered. Once we have fulfilled your request, if you tell us that you no longer wish for us to use your information, we will respect your request. Please use the e-mail provided below in Privacy Concerns to forward your request. Occasionally Redwall may also supplement information you provide with information received from third parties. When we do Redwall asks for confirmation that the information pertaining to you was acquired legally by the third-party and that we have the legal right to obtain it from them and use it. The online and off-line data we collect, either directly or indirectly, may be combined so that Redwall may better understand your needs and more accurately tailor our information and interactions with you. Cookies - When you interact with the Site, we may or may not use a browser feature, known as a "cookie" (which is a small computer file), to verify non-identifiable information about visitors to our Site and measure visitor traffic patterns. We do this to maintain the best possible Site experience for you. When you first visit the Site, the Site software may implement a program that creates a small computer file stored on your computer's hard drive. We ensure that the minimum information required is placed in the cookie only so that we can recognize returning Site visitors. The cookie DOES NOT contain personal information and we WILL NOT combine information in the cookie with personal information that would enable us to identify you individually. On subsequent visits to the web site, our server communicates with your computer, reads the cookie, recognizes and confirms that you are a returning visitor. Our server uses this information to provide you with a better Site experience. Site Activity Information - We receive and store certain types of information whenever you interact with the Site. Redwall and its authorized agents automatically receive and record certain "traffic data" on their server logs from your browser including, but not limited to, your IP address, cookies, and the page you requested. Redwall uses this traffic data to help diagnose problems with its servers, analyze trends, and administer the Site. Information You Provide Us - We receive and store any information you enter on our Site via forms or CGI programs or provide to us in any other way. Logs - Like most other web sites, we may monitor traffic patterns, Site usage and related Site information in order to optimize our web service. We may provide aggregated information to third parties, but these statistics DO NOT include any identifiable personal information. Fulfilling Your Transaction Request - If you request something from Redwall, such as product or services information, ordering data, or specialized research and development information, we may use your personal information such as name, physical address, telephone number, e-mail address, and company to engage in fulfilling your request. In order to help us, Redwall may use third-party sources and may share your information with them. For example, to process and fulfill your order Redwall may need to share your information with financial institutions, delivery services, and other third-parties. Marketing - The information you provide to Redwall, as well as the information we have collected about you indirectly, may be used by Redwall for marketing purposes to notify you of items such as new product releases and services developments, conferences Redwall is attending or our teaming partners are hosting, or requests for customer surveys and feedback. Additionally Redwall and its teaming partners may engage in joint sales or product promotions. Such promotions will always reference the partner(s) involved. Both Redwall and the partner(s) may have access to your information, and either Redwall or our partner(s) may provide you with the sales or product promotion information. We recommend you review the privacy policies of these partners to address your particular needs and concerns. If you do not wish to receive new product or other marketing information from us, please let us know by sending your request to the e-mail listed in the Privacy Concerns section below. Referrals - If you elect to inform a friend about our Site and refer them to us, we will ask you for the friend's name and e-mail address. Redwall may automatically send the friend a one-time e-mail inviting them to visit our Site. Redwall uses this personal information for the sole purpose of sending this one-time e-mail and tracking the success of our referral program. The friend may contact Redwall via the e-mail listed in the Privacy Concerns section below to be removed from the referral program. Recruitment - In connection with a job application or inquiry, whether advertised on the Redwall Site, third-party site, or elsewhere, you may provide us with a resume or information about yourself. We may use this information to address your inquiry or consider you for employment purposes. Redwall retains resumes submitted to the Company for future consideration, unless you request that we not. Compliance with Legal Requirements - In order to protect the rights or property of Redwall and others, we may be required to disclose your personal information in order to comply with legally mandated process requirements such as reporting, disclosure, proceeding, court order, or other legal requirements. Redwall will use reasonable efforts to limit the personal information it provides for these purposes. Please note that your personal information may be transferred, accessed and stored globally as necessary for the uses stated above in accordance with this policy. While Redwall may share your personal information with agents and contractors in order to perform the functions listed above, including financial institutions for order fulfillment, and others, we require that they treat your personal information, and limit its use, in accordance with the standards specified in this policy. If you have privacy concerns about your personal information, please contact us our Legal Department. We may ask you to verify your identity and to provide other details to help us to respond to your request. While the majority of questions and issues related to access can be handled quickly, complex requests may take more research and time. In such cases, issues will be addressed, or you will be contacted regarding the nature of the problem and appropriate next steps, within thirty days. The security of your personal information is very important to Redwall. We intend to protect your personal information and to maintain its accuracy. Redwall implements reasonable physical, administrative and technical safeguards to help us protect your personal information from unauthorized access, use and disclosure. 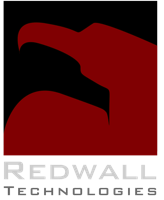 While Redwall.com is not currently an electronic transaction site using online credit card transmissions and other financially sensitive information, please note that other transmissions to Redwall, such as e-mail, come over the Internet which is not 100% secure and that any information disclosed online can potentially be collected and used other than by the intended recipient. Redwall cannot warrant that your personally identifiable information will not be disclosed to or accessed by unauthorized parties. In the event that your personal information is acquired, or is reasonably believed to have been acquired, by an unauthorized person and applicable law requires notification, Redwall expects to make a reasonable effort to notify you of the breach by e-mail, fax, or U.S. mail. Redwall plans to give you notice promptly, consistent with the reasonable needs of law enforcement and/or Redwall to determine the scope of the breach and to investigate and restore the integrity of the data system. Redwall works with industry partners to offer a variety of 8(a) contract vehicles. Redwall Mobile can operate with or without a server (MDM) component, and is suitable for tactical, non-connected (disconnected) deployments. Redwall is proud to be working with Cornet Technology, and encourages you to take a look at their innovative STINN LTEmp Manpack product. Redwall Mobile security policies are field-updatable, but can also enforce minimal, immutable settings. Redwall Mobile offers performance benefits over virtualization, and a stronger security model than traditional hypervisors.